WinX YouTube Downloader is a focused MP4 video downloader for Windows OS versions. The MP4 format is widely used by YouTube, Vimeo, Facebook and other sites. With WinX YouTube Downloader software, you can easily download MP4 videos from more than 300 websites with HD graphics and small file quality. In addition, you can download big 4K videos in batch mode. The best part is the tool is totally clean and you don’t need to worry about viruses, spyware, adware, or malware. Most of the YouTube downloader software solutions on the internet do not work properly. They have extra features that make you change your search engine or add extensions to your browser. The solution is to use WinX YouTube Downloader which is available free of cost and is easy to use. This efficient tool makes your webpage light, enables effortless downloads, and uses the popular MP4 format for downloads. WinX YouTube Downloader is a clean and focused video downloader for all Windows OS versions. Its user interface is simple and the tool does not come with any bundled plugins. When using other YouTube downloader software, you typically face the issue of frequent crashes. This tool is a cut above as it is a separate solution with a separate installation which enables you to use it easily and effectively. 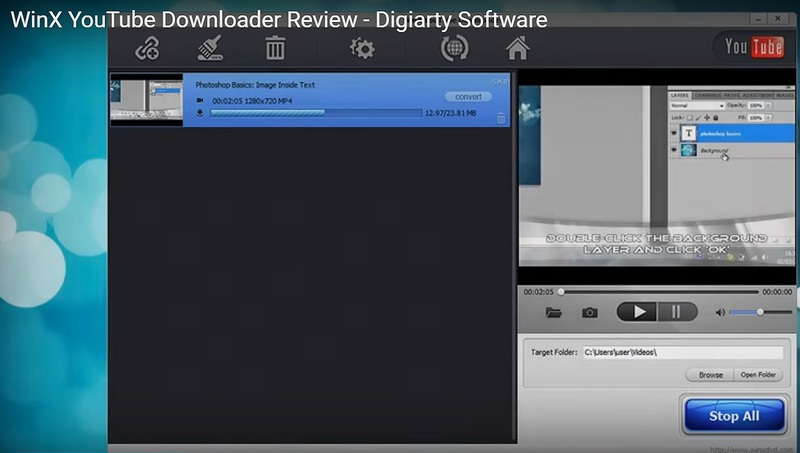 To start, the software downloads an analyzer that analyzes the videos you wish to download. You can add the YouTube link and the analyzer will begin to analyze the available options. It allows you to select the format, size, and resolution of the video. However, you cannot select more than maximum options available for the original video. WinX YouTube Downloader reviews indicate that you can download videos in multiple formats such as MP4, 3GP, and WebM. MP4 is preferred by most as it is compatible with all the popular video players. Plus, the MP4 format is easy to change and transfer. Another advantage is you can auto convert the downloaded video. A major highlight of this tool is it allows you to download multiple videos simultaneously. Simply add videos using the same options and click the button for download. If the internet connection stops or you do not need a particular video, you can stop the download in the middle. Download the converter to convert the videos to the format of your choice.